We're been working on some new features for next months monthly item! It is one of the coolest monthly items yet. Support Tickets - We're working on some better notifications to help people know when someone has responded and prevent some strange visual issues that can arise. Everything is almost ready to go! If you want to know exactly what is coming, please read this post. - Hub We're still working on Hub Layout and Redesign. This will become more of a town with buildings to go into. - More farming plants - We have a number of them ready to go, but with how the new system works we are working on more seasonal plants. - Kogos are nearly finished. This still has about 2-3 days worth of work we need to complete in order for them to be near 100%. The last big task is the jobs for Kogos. - Lighting system updates. In order to do areas like a cave where the entire place is dark except for whatever light you take with you we need to do some updates. This allows for more areas to explore and interact with. - Game User Interface redesign entails changing the way the game looks to make it look more unique and artistic. Everything will still be in a similar place, so you will not have to relearn how to play, but this will be a visual upgrade like much of the rest of the site has already seen. - NPC while they are ready to go we have a number of things that need to be thoroughly tested to make sure they work correctly. - HALLOWEEN EVENT - October is coming in with a bang. The big update will be released along with 3 different events! The first, pumpkin carving was released yesterday. You can head over to the Item Designer and make your own. Item designer was updated, new features allow you to reclaim designs you have deleted. How many of each of your items exist. This way you can figure out exactly what designs people like best and help tailor your shop to your personal style! There will be some bugs for a little while concerning icons and css. We're updating our Icon system and it will be done soon. Thank you for your patience. Hey Solians! I hope you had a great Thanksgiving and you're looking forward to Christmas, I know we are! - Inventory Wishlist now has paging. - Wishlist button disappears now when you load the sellers wishlist in the market. - You can now use the wishlist button without using the description in the market. - Some market ascetics fixed. - We're now working though a small list of things as well as testing everything that is in to make sure it all works properly. - Most of our time is spend right now bug fixing. - We will be ready to go sometime this month! 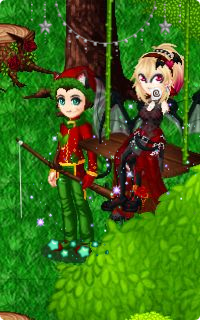 Another Time vampire right now is the Christmas Event! We're trying to do something completely different and although it is taking up some time it should be quite a bit of fun! More of the event will be ready to go in the next few days. - Search automatically if you stop typing for 1 second. - visual changes to make it aesthetically better. - Changed how item costs are handled. This means that when using items while crafting they should no longer end up being moved to your bank if your inventory was full when you started the craft. 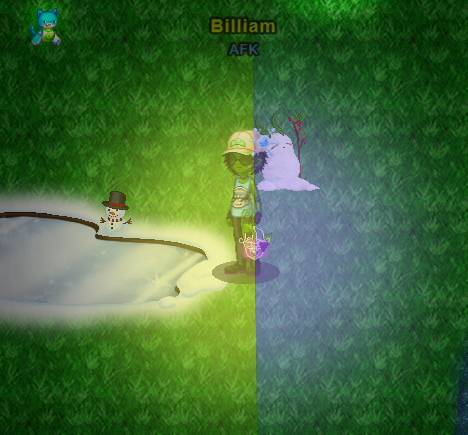 - Fixed a couple visual glitches related to recoloring items. - Fixed several bugs that would cause your connection to the inventory to be randomly lost. - You can now add shadows from your wishlist items. - Was updated today again, to add new icons. 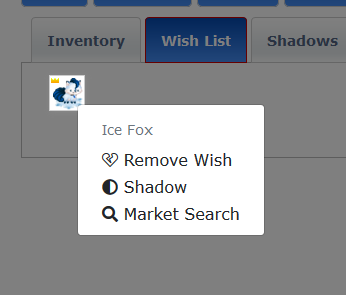 One of which you can see on the "Remove Wish" icon in your inventory. - Fixed several mobile interactions and glitches including but not limited to "not seeing yourself when joining a land" and issues with shooting. - Fixed a quest system bug that would not allow you to accept or finish the tamer quest. - Fixed a bug in the NPC animation system that would cause Alfred to get stuck when arriving or departing. - Finished testing building upgrade system for future update. - Tutorial alpha now exists for newcomers. An interactive land that tries to show and explain the basics of running your farm and utilizing the job system. Jean will help explain everything as you explore the farm. - Used to house and train/improve your Kogo. - You can send your Kogo out on tasks or breed them. - Paging buttons fixed for odd incident. - Friends list now works properly. - Disable CSS feature works, and a special paging function was added so that it continues to work when you change pages in the topic. - Added icons to the menus in art shops. - Working on a feature that allows you to limit how many of one item an account can buy from you, so if you want to give things away people do not take advantage of you. - Tons of support tickets were handled involving niche bugs with different things. All but on one of the issues we had were fixed. We are looking at adding additions to the avatar to better accommodate things like bags. - Fixed several layering issues with items in the world. 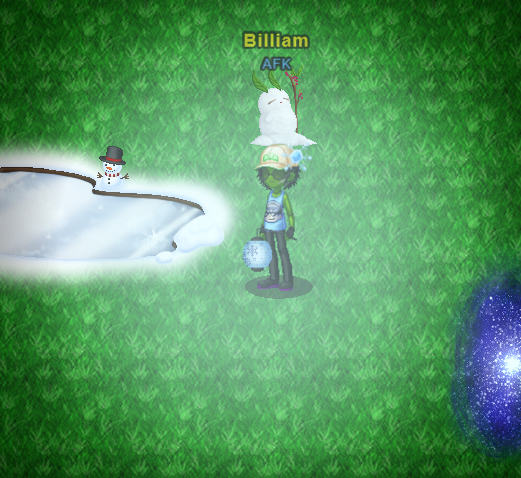 - If you use the snowman in the hub you are now able to create snowballs non-stop until you walk away from it. - This marks the first server controlled event we have made. Which is a big step towards making a battle system where everyone can watch you fight and see what you see. - created and we are working on a Holiday/New years card to be mailed out. - updated with more information. - Donations no longer require you to have a Paypal account you can simply use a credit card though paypal. There was a bug previous that would break anything that did not have an account. This is a massive system for the update. We are still testing it, working out bugs and adding new features as we find we are missing them. This system controls how the NPCs will respond to you and react to what it going on. They can randomly visit and bring gifts, quests and other things. They are able to move into your land and you can build relationships with them and learn about their lives. - Changes to topic design and updates to buttons that's function had been terminated with the sites change as well as removal of redundant buttons. - Quote and Coding BB code now have icons inside them (like they used to). Now when editing, it goes back to the post you edited. Anti Lights - From a item suggestion by hurbird. Great news on a lot of fronts! Big Update: We are now only doing testing! This means that everything is basically ready to go and we're just bug fixing! 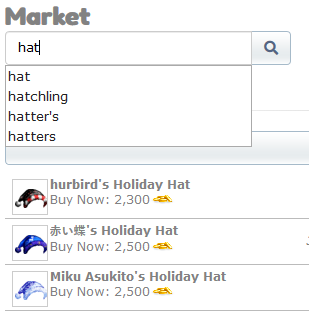 Market: The market search was changed today, to show you what you searched for when you click Market Search on an Item. 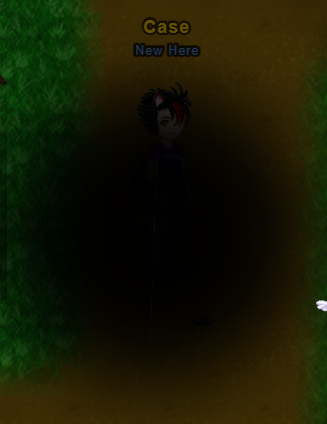 Shadow Page https://solia.online/shadow.php?u=54 You now see the icons in the way that person has them colored, If you click the icon that looks like a palette you are able to view what colors they made that item and from that menu you may choose to create a special shadow with that persons colors. Try it out for yourself! Checkboxes Earlier this week all of the checkboxes on site were updated to look like this. Another massive update post will come later today, you won't want to miss it! Shop levels: you can help the NPC work up their shop. By raising the shop level the appearance and shop inventory change. Shop stock is added as the shop evolves. Gifting in Shops: You will be able to buy things in a shop and they are automatically mailed to another person. Shops can have an unlimited number of levels, this preview below is of the first 3 stages of the shop. 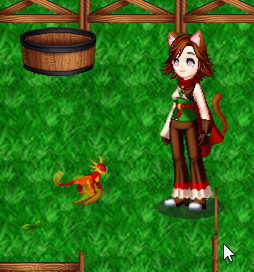 Receiving Gifts in the Mail - From NPCs and other players. To claim the item all you do is click it in the mail. In your mailbox you will see a gift icon on the message. Until you claim all of the gifts from that message the icon will remain. Updated so that they may now have paging. We're working on bringing these into the game. There are challenges in optimization, but it will help bring the whole world to life. This was previewed a long time ago, but we want to bring it into the update to add all kinds of new options for creation and exploration. If you would like to view the Tile preview, please click here. We have made many upgrades to Solia itself to help performance. We have changed things so that if Facebook, Twitter or Fontawesome is lagging it does not cause us to lag as well. The most notable example of this is you may load a page and the icons on that page have no load. That means Fontawesome's content distribution site is lagging and we did not want it to slow your Solia experience. You will be notified of people on your friend lists birthdays and allowed to send them gifts! We have more than 100 pages of written story. Ranging from quests and one offs to mainline Solia. All of the NPCs you will be able to build relationships with. Many will be able to move in your land. Our first in game poll - Thank you for voting and sharing your thoughts with us! There is a BB code you all can use to view them once they have been completed. I want to add a rarity sort in the Bank, so that you can quickly find items of a certain rarity that you are looking for. Expect this to be released in the next few days. Color searching in the inventory during recoloring is broken, and will be fixed at the same time. This BBcode may be used to have your content clear imgright and imgleft. You may see this used below in the selfie section. A few people asked, so I will try to explain it better. If you view this image. You will see that Interactive Tutorial is not up beside the User Shop section. The clear BBcode allows you to break up sections of text and images better. Nearly everything being worked on is testing and fixing bugs or admin editors to help bring the game to life. 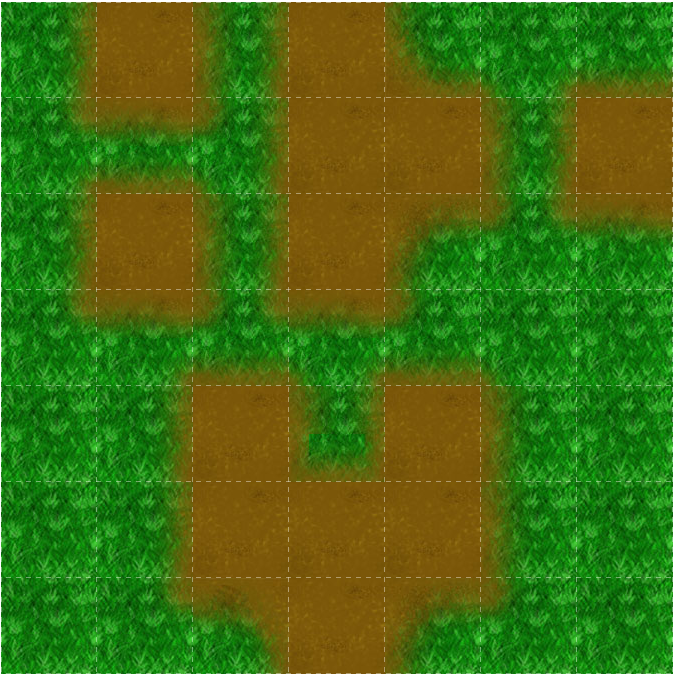 The tile system which needs about a few days of work and testing. We have to make some changes to the NPC system in order to better NPC in game story progression. We are also working on a Cut scene maker. We have the ability, but we need to make it easy for staff members to put them into the game. This will help bring the world of Solia to life. Putting Story in the game, so when the update happens there will be things to explore. Upgrade your barn to house more active Kogos. 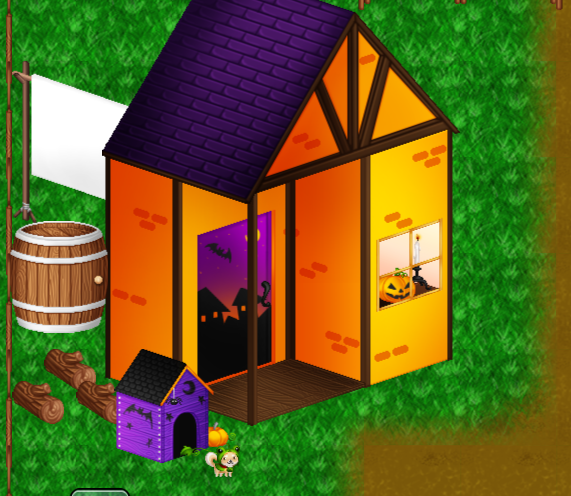 Kogo Barn - Where you keep your active Kogos, send them on missions, feed and train them. Breeding: Colors and traits are gained from the parents. E.G. Red + Blue = Purple. Carry your kogo egg with you and show off to everyone in the room when your new Kogo is born. Kogos level, build stats and evolve with your help. 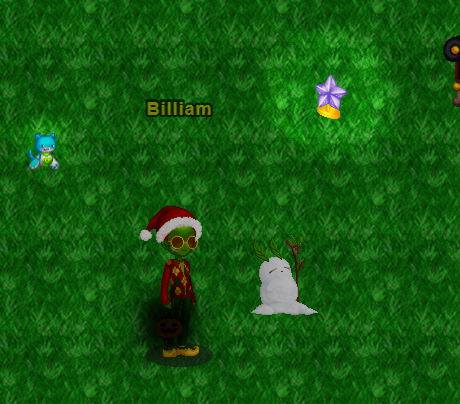 NPCs can visit your land, bring you gifts and send you mail (as well as mail you gifts). Advance an NPCs story to get them to move into your land. Moved in NPCs may give bonuses to your land, unlock new crafting recipes or help with a task (Watering plants, etc...). 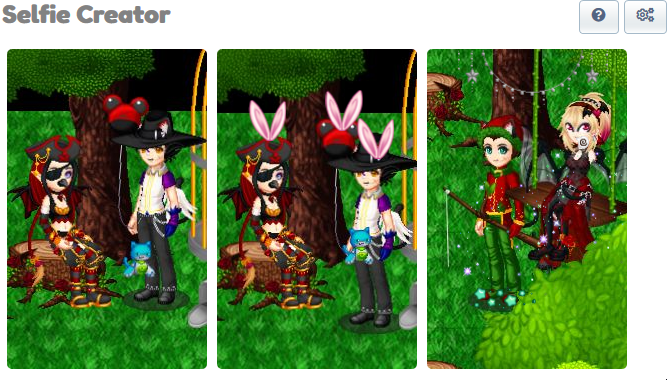 Once moved in you can change their outfits and gift them outfits. 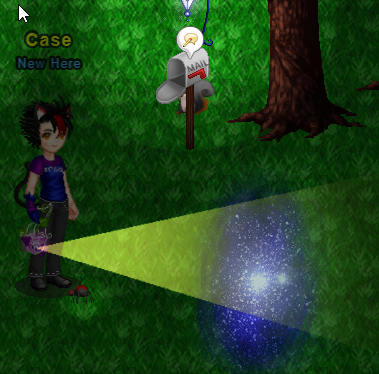 NPCs can visit to bring you special limited time quests. E.G. "I lost my kitty please help me find her." Completing the quests will net you rewards and relationship bonuses. NPCs will require that you have things they want on your land in order to move in. They will also need a home of their own. Alfred will visit your land 12 times more often. Upgrade the size and look of your home! Houses may decay over time and require maintenance. Green Houses: All plants will be grown inside the greenhouse. This will help cut down lag for people with slower devices. All plant speeds will change. Most will be made much faster. Star Level: Once you reach max level in your job you will be able to complete a quest that will cause your level to reset. All of your skills remain, but you are able to level up higher than you were previously and unlock new skills. Recipe Changes - Everything will be created much faster. No sitting around for long periods of time waiting for something to finish. Some jobs will get entire makeovers, other jobs will have a whole host of new skills added. Some jobs may become much easier to level. Items based on market value will be turned into gold and given to you, and you'll be glad to have it to help you get a head start on the NPC shop upgrades! Complete Daily Tasks for Gold. 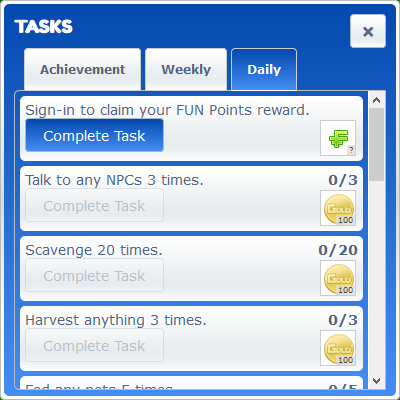 Complete Weekly Tasks for more FUNs. Complete 70 Daily Tasks of 91 Total possible daily tasks for A Free Gacha Ticket EVERY WEEK! Click to view the task preview. As stated Titles are unlocked via Achievement, they appear right below your avatar's name in Game (and they may one day work on the forum as well). Changing your title is a breeze. Go Click on your name in the top right and select change title. Pick from the list of titles you have unlocked and immediately everyone sees your new title. Take photos of you and your friends and design them with stickers, borders and other cool things you collect! Here is a preview video of how the selfie system works! With your collection of stickers you may choose what stickers even appear in your designer. You may find you have collected stickers that do not interest you and you are able to hide them. Click to view a preview preview. Click to view another preview. Have your very own shop RIGHT in the heart of a town. Bid with gold to own a shop in town for a week. Sell your Designer Items and Market items in town! Your avatar will become a temporary NPC. You will be able to setup what your NPC says and everyone sees that you have claimed this shop! Jean walks you through a farm and shows you how to get started. This helps you build a relationship with Jean and she brings you gifts! Click here to view either preview 1 or preview 2. New Types of Lights - Check out the Previews! Battle System - Kogos will be used with you in battle. DJ System - watch youtube videos with your friends and everyone is synced together. With dance in game emotes so you can dance along, or sit down and enjoy a movie together. Color changes: In order to make some clothing colors more desirable. We hope to change colors currently not used closer to what they were on the previous Solia. We have pulled statistics on colors that are currently used and some are used nearly 0% of the time. This post is sitting at 10,192 characters so, I'll end it here! I am sure I forgot things, but you all will have a lot coming at you sometime this month! Thank you Billiam, Dekkard, and hurbird. It took at least 4 hours to put all of this together, make previews and proof it. The Inventory changes were both added today. - In the bank tab you can now sort by rarity. Select the rarity in the dropdown and click submit. - The color searching while using the recolor system was fixed as well. You can now add your birthday to your account. Once you set your birthday it cannot be changed. This will only be used to tell your friends that your birthday is upcoming and the NPCs will celebrate your birthday with you. You may do so on the body page or when you create a new character. Today bugs were fixed with the post warning system and deleting posts. Upon finishing the new birthday, we realized that we already made a birthday system in the tutorial, so now you may do it in either spot. Arrow keys now work with the color dropdowns and the color dropdown search works on both. The world subscription would jump around at very specific page sizes, that will no longer happen. - Last night the entirety of how subscriptions are handled by the system changed. - If anyone has any bugs please report them immediately. Shops are being redesigned today and may be down for small periods of time. All the smilies are being put into the world, due to some necessary changes, they may be broken on the forum for a little while. We have a small setback from yesterday, the selfie system was was 100% done is now broken. We update some of the libraries we use and there changes caused it to no longer work. We are working towards getting it fixed. This hopefully will not take longer then today. Selfies took longer to fix then we anticipated. They are finally back to where we need them to be. I am working on a rebuild of the maps system we have, we found a way to make things far more optimized. Images used to build very intricate maps will be quite small. We came up with a new method to handle NPC encounters. Which will result in less work being needed now. The shop system will need to be changed some but overall it should allow for very complex stories and events. The whole goal of the NPC and shop system is so that the world can be ever changing. NPCs move in and out of towns, shops upgrade, close, gain new ownership and NPCs could move their shop to a new town. All of these changes are based on choices you make in game. Overall things are going well, and I will continue to keep you all informed. A lot is going into this. Things are being reworked so that maps will be far more than just grass or dirt. This is going pretty well, and once I have a better demo I'll start sharing screenshots. This will have the ability to do mountains, large bodies of water, and much more. I hope to have something to share later today. Yesterday we discovered a new way to do lighting, which frankly looks much nicer than it currently does. 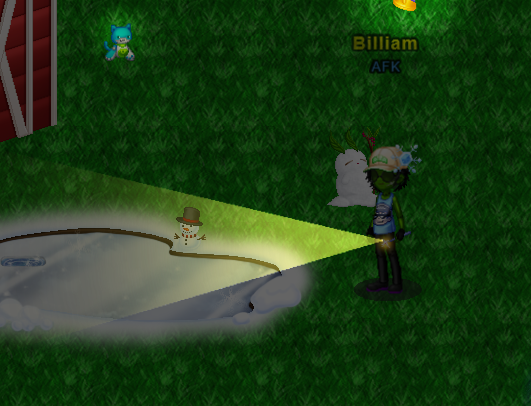 Billiam is working hard to get tests for a new lighting system. There are pros and cons to it. It will look a whole lot nicer. As of right now it may not be able to do two toned lights. Colored lighting will still work and the Anti-light may also still work. Two toned lights may not be able to work in the new system, but nothing is definite yet. This will give us the ability to have trees block light and shade under a tree. Lights will also now be able to shine off the side of a building, so if your holding a blue light the house will shine blue instead of just have a blue filter over it. Map Editor is still coming along. Right now I am making a tile editor. 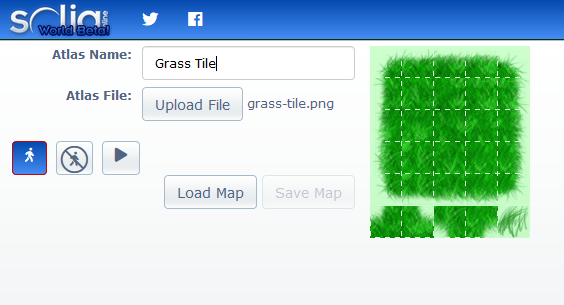 In the example, I am putting a brand new grass tile in and setting the grass tile to walk-able. I still have to build animated tiles. Water, lava, mud, and a number of other tile types will be animated in the world. After I finish the tile editor, I'll be back working on the map editor. It still needs work, but you can see that light is now much softer and not just a circle shape. More updates soon, but we're excited about the possibilities! Since Dek is waiting on a replacement tablet, we are working on color changes. I built a new admin editor to help Dek go though existing colors and determine which colors need to be changed, or which should just be removed entirely. Some colors may not be removed even though they are unpopular colors, for example Helio is not a popular color for most avatar creators, however it is very important to Solia as it's the color of all trees.